which is getting blank... but how to solve this.....??? Hi. I moved your post to the e-commerce forum. 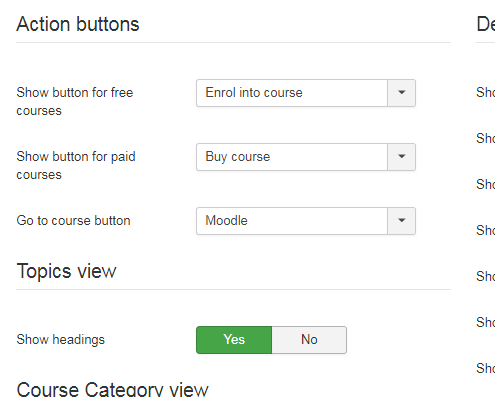 To get buy button you need to sell courses through a shop component. To get options to show in shop section in Joomdle config you need to install the appropriate j oomdle integration plugin. You cannot get buy button to sell courses with os membership.